Most people think of the French Laundry when it comes to eating well and splurging on a gourmet meal in wine country. But if a $400 meal at the French Laundry isn't in the cards, there are other options to choose from. For instance, there is Farmstead, a farm-to-table restaurant that uses produce and grass-fed beef sourced straight from their farm. Everything our party ordered was delicious; however, the real winners were the cheddar biscuits with honey butter (pictured above), the butternut squash gnocchi, and the burger. See more pictures below! This gnocchi was the best I've ever had. The pomegranate seeds and butternut squash added a seasonal surprise to the entrée. Although I don't eat red meat, the gents who ordered this dish were in burger heaven. 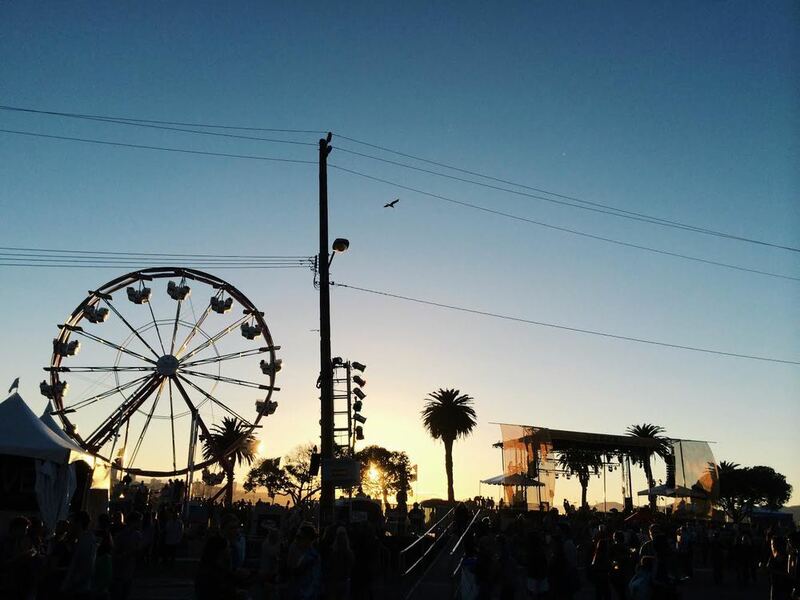 Last weekend marked the sixth year in a row that I've attended the Treasure Island Music Festival. The first year was my freshman year in college with my awesome roommate. Fast forward six years later, I feel like a veteran. I now know what to pack, how to layer, what snacks to bring, and most importantly, where to eat. I went on the second day this year, which is always the calmer day. The artists are more indie, the people seem tamer, and the general energy is much chiller than the Saturday lineup. I like both but am so happy I chose to go on Sunday this year. Seeing alt-j play for the second time rocked my world. They sound even better live — if you could even imagine. I also really enjoyed BANKS and Chet Faker. Being surrounded by good vibes, amazing music, and creativity was the perfect way to end my weekend. Plus it made me feel grateful that I got to return to a city that inspires me everyday. Here's a playlist I put together for Sunday's lineup!